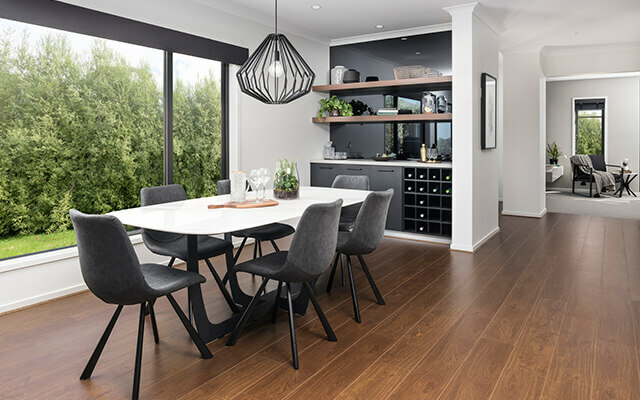 Visitors to our brand new display homes in Ballarat will see first hand how interior colour selections and finishes can bring a completely different look and feel to a home. 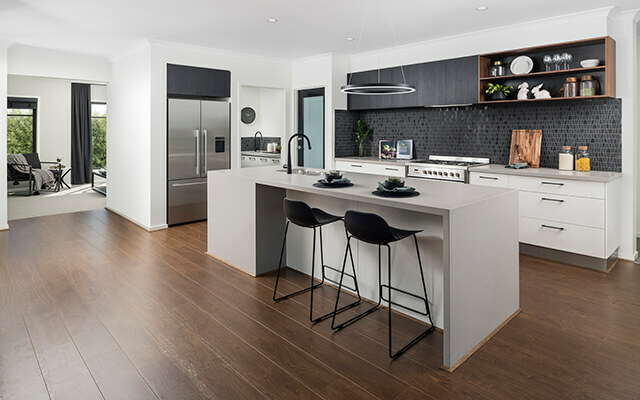 The Brookdale and the Heathcote on display are two of Dennis Families’ most popular designs and showcase a range of luxury upgrades from the Premium range of inclusions. 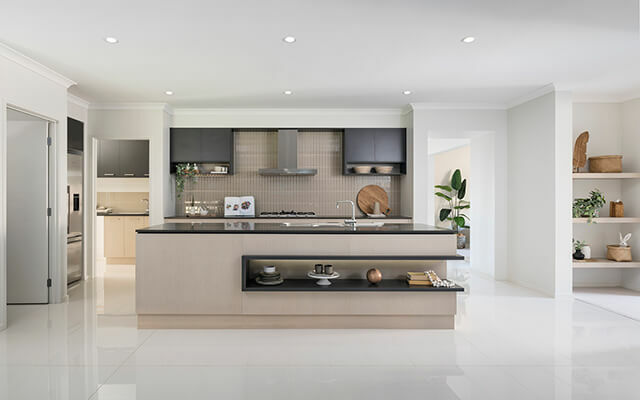 Both homes have been finished with contrasting interior colour themes that demonstrate just how easy it is to create a home that feels completely individual. Inside the Brookdale, the open plan family zone is central to the home’s floorplan. A spacious kitchen, complete with Caesarstone benchtops, SMEG appliances and a spacious butler’s pantry, overlooks the dining space. The ‘Designer’ scheme selected as the home’s interior colour theme combines premium contemporary finishes and bold contrasts to create a modern feel. The striking combination of timber tones, black door and bathroom hardware, and carefully selected dark furnishings and fittings results in a home that feels luxurious and sleek. A wide sliding door opens out to the large alfresco that offers an extra 15 square metres of living space. 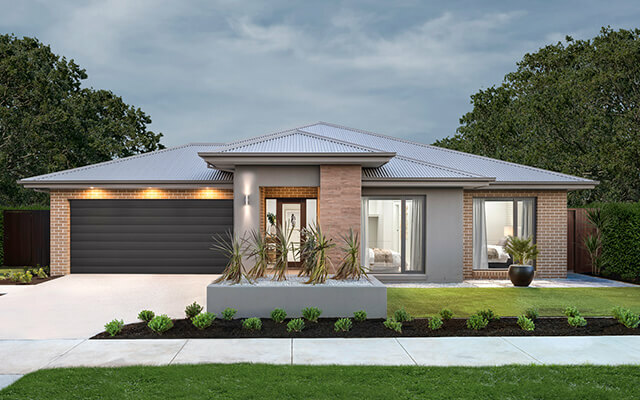 “Outdoor entertaining is integral to the Australian way of life and this large alfresco, along with the additional entertaining space it offers, has been very popular with our visitors,” says Kelvyn Rowley, Design Manager at Dennis Family Homes. In contrast to the Brookdale, the Heathcote’s ‘Global Traveller’ interior scheme presents a colour palette of warm whites with contrasting highlights in black and timber tones. The use of natural materials throughout the home – think light colours, warm carpets and wooden accent pieces – result in a worldly and inviting space. The rear open plan living space offers real ‘wow’ factor that is sure to appeal to all visitors and offers uninterrupted sightlines from the kitchen to the back garden. Heathcote’s master bedroom suite has the feel of a five-star hotel with a walk-in robe behind the bed that stretches the width of the room and a gorgeous ensuite with large shower, separate toilet and double vanity. Brookdale has been designed for a 14 metre wide block and Heathcote is perfect for a block that measures from 16 metres wide. Both homes can be built with any one of eight different facades.